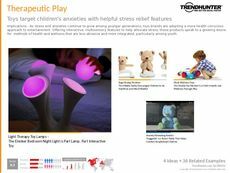 Find Better Ideas, Faster ® with a custom light therapy trend report, our PRO Dashboard and 80+ categories of premium trend reports. 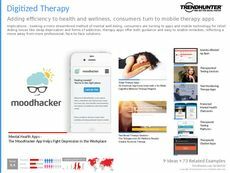 Trend Hunter’s Light Therapy Trend Report looks at how the wellness industry is introducing new forms therapeutic treatments through light. 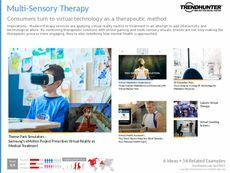 This sensory-based report investigates the current and emerging trends that are being noted to successfully reduce stress and increase one’s sense of calm. 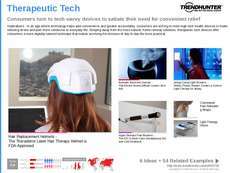 There are new technologies being developed to cater to the unique needs of consumers. This report explores the organic methods being used to ease tense minds through light-based remedies. Those working within the wellness industry will find this report to contain vital information about accessible resources that can help patients. The report will also benefit wellness professionals who are seeking to provide patients with home treatments and personal exercises that can help them feel better. 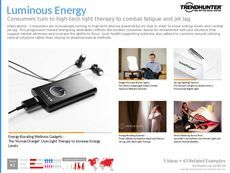 When seeking to try or recommend a new product for a therapy session, the Light Therapy Trend Report will allow you to learn about the latest products that can advance your profession or healing.